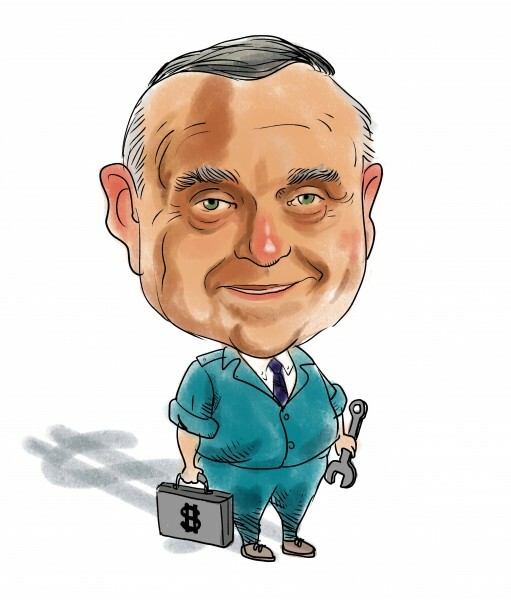 Billionaire Leon Cooperman, the manager of Omega Advisors, has revealed in a new filing with the Securities and Exchange Commission adding Empire Resources Inc (NASDAQ:ERS) to his equity portfolio. The stake contains around 1.99 million shares of the company, which are equal to 18.8% of the company’s outstanding stock. Cooperman’s position in Empire Resources Inc (NASDAQ:ERS) is comprised of 995,200 shares that can be purchased upn the the conversion of 10% Convertible Senior Subordinated Notes Due June 1, 2016 and the same amount of shares that can be obtained following the conversion of the same notes that are held by the Leon and Toby Cooperman Foundation, the filing added. Empire Resources Inc (NASDAQ:ERS) is a nano-cap company with a market capitalization of around $45 million that is involved in purchase, distribution and sale of aluminium and steel products, having a customer base in the Americas, Europe, Australia and New Zealand. With the prices for aluminium expected to go higher due to increased demand especially in the auto industry, Empire Resources together with its peers from the industry might be poised to grow higher. So far, Empire Resources gained over 45% since the beginning of the year. Another company engaged in aluminium industry, Alcoa Inc (NYSE:AA), has gained over 50% year-to-date. And a similar trend can be noticed across the whole industry, which has advanced by more than 40% since the beginning of the year, according to Morningstar data. Therefore Empire Resources Inc (NASDAQ:ERS) might be a relatively cheap play for investors considering to pick some profits from the aluminium growth. Another notorious investor betting on Empire Resources Inc (NASDAQ:ERS) is Jim Simons, whose fund, Renaissance Technology, has initiated a stake in the company during the second quarter of the year. Renaissance revealed ownership of 16,100 shares of the company in its latest 13F filing. Another fund, GRT Capital Partners, led by Gregory Fraser, Rudolph Kluiber, and Timothy Krochuk, increased its exposure to Empire Resources by 38% on the quarter to almost 91,900 shares held as of he end of June.